A soft and subtle bed linen set for the contemporary bedroom, the Speckle Grey Bed Linen is a jacquard design with smooth solid grey percale reverse. 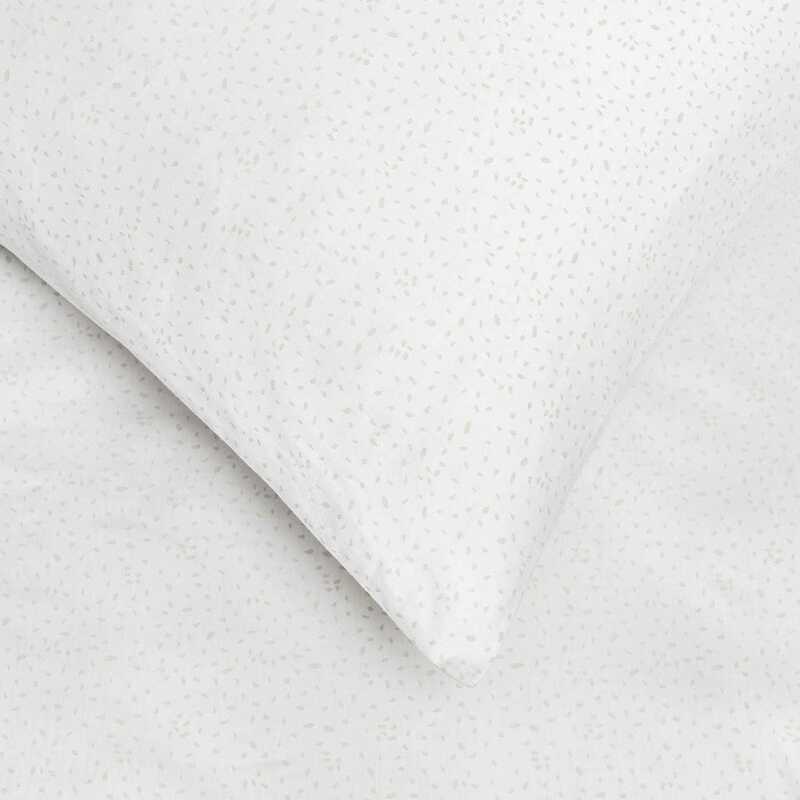 This 100% cotton bed linen is made in Portugal by a company with over 90 years of expertise in bed linen. Gorgeous! Beautiful design and quality. Great purchase - excellent quality. Love the design and the 100% cotton is super soft. Nice and easy to purchase.